There are lots of people in the world who would simply jump at the chance to purchase a lake home, but like purchasing any piece of property, it should never be rushed. 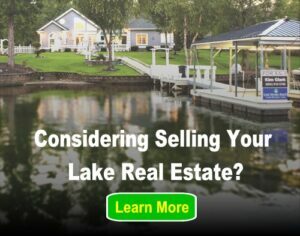 A lot of people don’t consider checking the actual lake when they are purchasing a lake home, which is probably one of the biggest mistakes that you can make. It may seem like only water to you at first, but there are certain water lots, which you don’t want at all with your lake home. Check to see how much waterfront footage you have on your lake, which should ideally be 100 feet or more. If you were living in the city, you would want to have curb appeal with your home, but when you are living on a lake then all you should care about is pier appeal. Check to see if there is a main door, which is facing the lake, since you are going to want to see a whole lot of lake in your lake home. This means that every room in the house should provide you with a view of the lake, whether it is the kitchen, the dining room or the bedroom. A lake home without a great view of the lake from all rooms is less than ideal. Not many people know this but when you are living at a lake house you have to consider the topography of the water lot as well. If you are going to go swimming and floating, then you should have a flat lot, which means that the water in the lake will not be deep. If, however, you want to take your boat out every day, then you would need a steeper lot, which would mean deeper water. 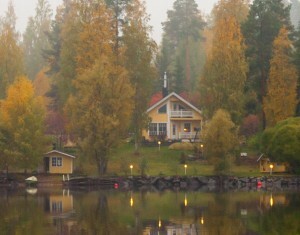 It may seem as a simple choice but it all counts towards the appeal of your lake house. It is also important to check the quality of the docks. Make sure that boards aren’t missing or lose and there are no jagged nails. Living on the lake is a lifelong dream of most people and it is one of the best ways to spend your retirement days in comfort and relaxation as well.